Your emotions are a powerful electromagnetic current that speak volumes of information into the field of Life around you. Your emotions electrify your life, they (em)power you, light you up, and Life “sees” you clearly. Life speaks this invisible language and responds. It aligns you with synchronicities (connections), information (directions), and change (new solution). Your emotions are initially connective or disconnective for you. The heart seeks connection. It is inherent in the binding force of Life—Love. Your earthly systems and structures have generally been focused on disconnection—dominance, suppression, and control by fear. 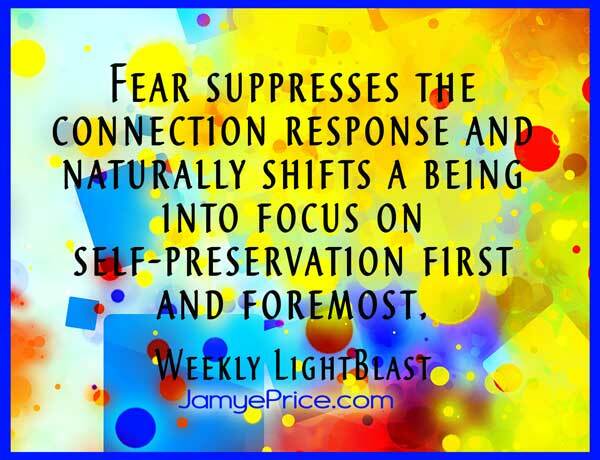 Fear suppresses the connection response and naturally shifts a being into focus on self-preservation first and foremost. Most people operate with varying degrees of fear. Fear initiates an either/or, life or death viewpoint. Right or wrong, friend or foe, success or failure, good or bad. While this may seem obvious to you, it leads to much unconscious interaction and suppression of emotional flow. Often well-meaning parents teach their children through fear. This is a learned behavior that results in a species that does not easily understand how to transform through emotions, and therefore movement stalls. Your emotional flow is a vital aspect of your creativity, as it speaks powerfully to the field of Life. All emotions have value, even those you would consider negative. All of your emotions offer you volumes of information and understanding as you are enhancing your ability to create more consciously in your Life. Observe how your resist your negative emotions, how you allow them to effect your creativity, or how you learn from them and become clearer as a result of the understanding they have presented. As you allow your negative (fearful and disconnective) emotions to flow in healthy ways, you allow energy to transform from potential to movement, and change occurs. Observe how your repress your positive emotions because of judgment, fear of loss, or retribution. Observe how you fear the height of joy or the depth of its opposite and you will determine how your own emotional flow is speaking to the field of Life that creates form. Allow your positive emotions to flow in healthy ways and you will see life responding to your emanation of energy in motion. Following your Heart is the process of observing your desires—your creative and connective nature. It begins with internal observation. Do not consider the outside world, the external. Dialogue with your heart. Open to your emotional flow. 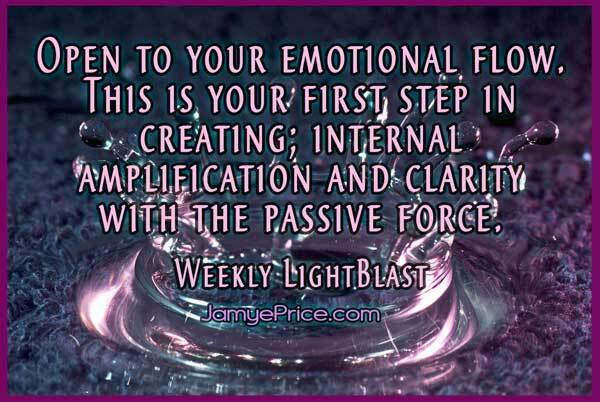 This is your first step in creating—internal amplification and clarity with the passive force. Observe where fears flavor your freedom. Observe how the energy of fear pulls you inward, storing your energy for pushing against. This is a survival mechanism. Observe how excitement and desire propel a vibration from you. Observe how the energy of connection results from your (em)powered flow. Your EMpowerment is your ElectroMagnetic power flowing. Your vibration. Not the suppression of your flow because of potential energy (response) from others. Be energy in motion, creating, flowing, and therefore changing life. As you allow your emotions to flow, you change your trajectory in life. 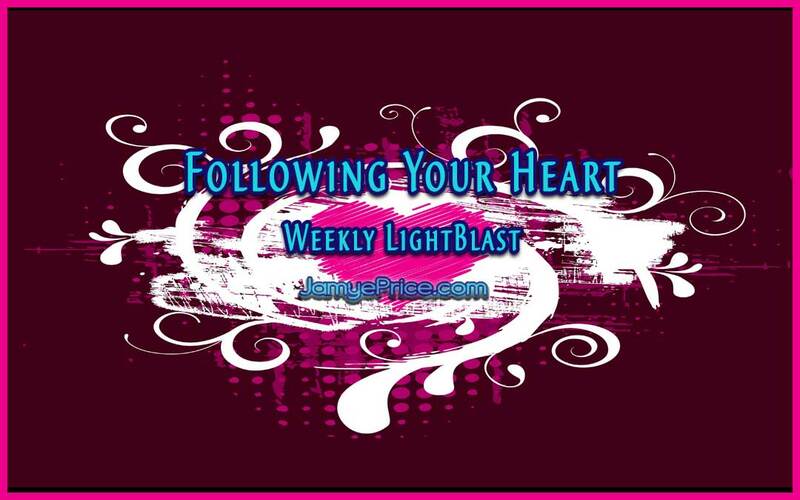 As you Follow Your Heart, you are flowing emotion powerfully into your life, EManating new information of Loving courage, connection, and change. It deeply effects your life and the world around you. As we sit to Blast Following the Heart, we are creating a powerful flow of Love that overcomes fear and connects us with an exhilarating future. We are honoring our healthy emotional flow, changing our beingness from within. We are empowering Love to electrify change and new solution. We are holding our power of Love and maintaining the vibration of hope, exciting the particles of creation into transformation. We are unleashing the power hidden within the subatomic, creating through the power of Love’s grace lighting a path to a sensational future. Blast on!